I’ve never been to Edinburgh, which is a surprise to most of my friends as it’s only a couple of hours on the train from where I live and chock full with some really nice places to eat. So this past weekend I finally went. I caught the train up to Carlisle to meet up with my girlfriend who was coming with me. We stopped off at Belted, really nice burger restaurant for a light snack and a Battenburg (Ameretto) Hardshake. Then off to Moo Bar for a quick pint before we got the train to Edinburgh. The weather when we arrived was glorious and it was only a quick walk before we arrived at our hotel which was on the Royal Mile, a very central location of Edinburgh. We didn’t have long before a we had to go to dinner at Tom Kitchin’s restaurant “The Kitchin”. We had the seasonal tasting menu, I won’t list every course we had but the highlights were the dessert which was a Strawberry and yoghurt panna cotta and a “pre starter” of fish mouse which I have to say was the best fish course I’ve ever had. Overall the meal was very good and I would recommend a visit but it didn’t quite make it into “the top 30”. After doing some shopping around Edinburgh we visited the Whiski bar just across the road from the hotel (coincidence, honest). If your into whisky as I am it’s a must visit. Had a nice pint of Innis and Gunn Toasted IPA and knocked a couple of whiskies off the 101 try before you die list. They have an enormous list of whiskies, you can choose yourself or try one of their whisky tasting “Flights” which consist of 4 whiskies with a common theme. These range from £16 to £90, so there is something for every budget. Dinner that evening was at Ondine a seafood restaurant that came highly recommended. I had 6 Cumbrae Oysters to start and my girlfriend had Tempura Squid. The batter was so light and the squid was cooked to absolute perfection. I really think it was the best squid I’ve ever had. Thank god I got a taste! For main we shared a roasted seafood platter (pictured), you could eat one by yourself but you have to be very hungry and I would skip the starter if you do. The platter consisted of oysters, clams, muscles, a razor clam, crab, prawns, langoustines and lobster, all covered in garlic butter. 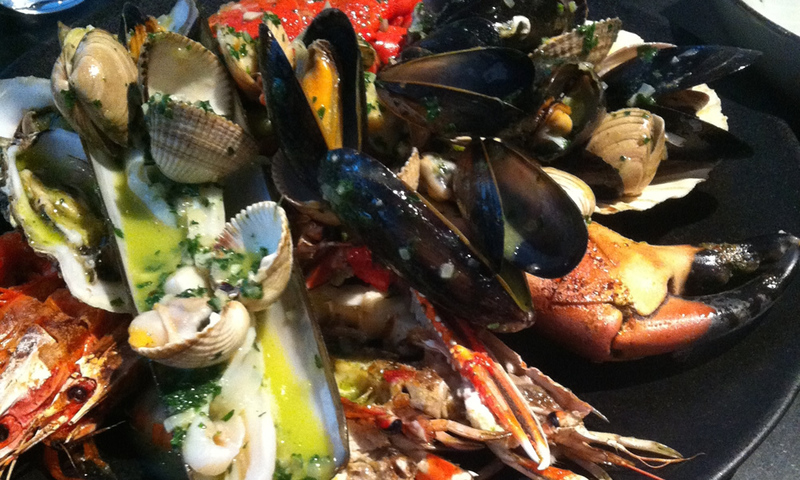 If you like seafood I would recommend Ondine. Not only was the food fantastic but atmosphere was really relaxed, and the staff were friendly and more than happy to help with any questions I had. This is why it makes it into my Top 30. The next day it was time to leave, just enough time to knock off another 101 whisky at the Whiski bar and off on the train back to the north of England. I really have to say that I enjoyed Edinburgh immensely and look forward to visiting there soon, even if it’s just for a day trip.